The Atlanta Hawks Basketball Club and the Atlanta Tipoff Club are coming together again to host two high school basketball showcases celebrating high school basketball in Georgia. From youth activation, to former Hawks players stopping by to see the action, these events go beyond just showcasing the teams; they bring the story of the sport full-circle. With a bold identity and strong new ownership, the Atlanta Hawks Basketball Club and Philips Arena remain committed to making Atlantans proud on the court and off. The 2014-15 Southeast Division Champions, the Hawks made the postseason in 10 consecutive seasons and reached the Eastern Conference Finals for the first time in franchise history in 2015. Off the court, the organization has built a culture of inclusion, diversity and innovation, all with a touch of Southern Hospitality. It continues into the community where the organization builds bridges through basketball, whether by constructing and refurbishing courts in Atlanta neighborhoods, providing scholarships to our basketball camps, or surprising and delighting our fans with unique Atlanta Hawks experiences. Visit hawks.com for more information! 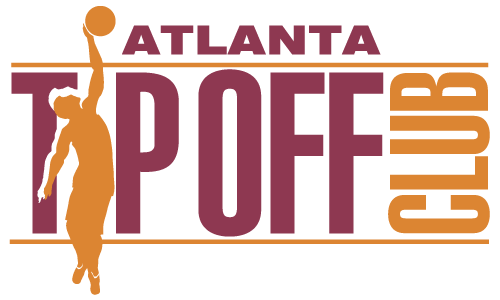 ​Visit atltipoffclub.com for more information! "You are only as good as your team."